One downside to this time of year where I live, is that with the colder temperatures comes dryness. I'm talking the air so devoid of moisture that you're burning through tubes of chap stick and your hands are rough and cracking. Nobody likes that! My favorite balm to combat the assault on my fingertips is The Naked Bee Hand & Cuticle Healing Salve. It really is amazing and works wonders. It's full of natural ingredients and smells amazing. But it comes in a tiny tin, great for your handbag but not so great a portion to slather on arms and legs, knees and elbows. 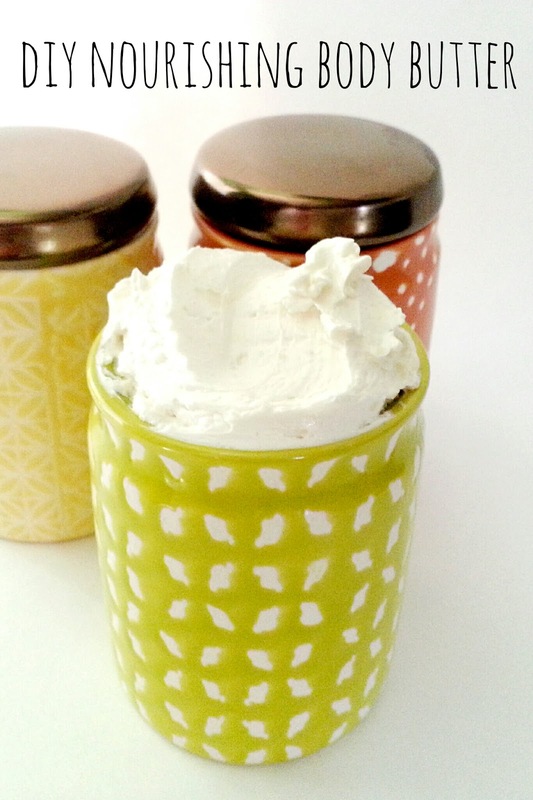 This year I decided to try my hands at making homemade body butter. And guess what? It's easy! Try it too, your skin will thank you! 1. 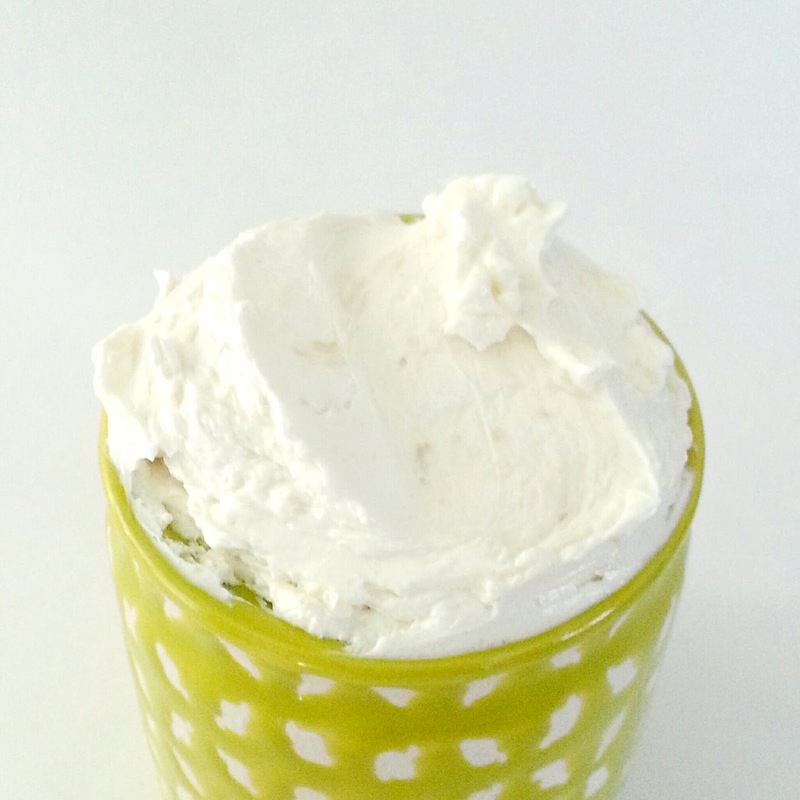 Melt cocoa butter and coconut oil in a double boiler. I used a glass Pyrex bowl set into a small pot of boiling water. Once melted turn off heat and mix in almond oil. 3. Let the mixture cool then place in the fridge until the mixture firms up but doesn't turn solid. (From a liquid to slightly opaque). 4. 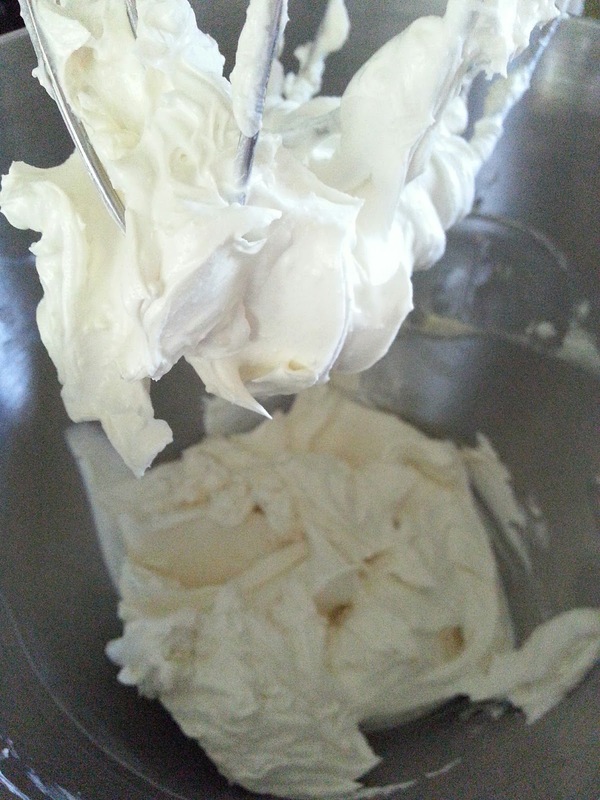 Use a standing mixer with the whisk attachment to whip your soon-to-be body butter until soft peaks form (I looked away for a moment and turned back to see what looked like white fluffy icing appear). 5. Add in your essential oil drops. Whip to incorporate. Store in a cool place. Too warm and the butter may start to melt. If it does, just whip if back up again! BTW all opinions regarding products mentioned in this post are mine and I've received no compensation or acknowledgement for making them.